If you needed any more evidence that the John Sebastian Era is nothing but bad news for anyone not on his side, look no further. The Philippine Wrestling Revolution has just announced via its official Facebook page that two beloved fan favorites have been sent to the disabled list with injuries suffered at the hands of Sebastian's allies last Sunday at PWR Live: Kingdom Come. The announcement reads as follows. Due to the recent events that transpired at PWR Live: Kingdom Come, Dax Xaviera will be sidelined with an arm injury while former PWR Champion Chris Panzer will be recuperating from a back injury. Both men will be out for 1-2 months. Xaviera's injury happened moments after his failed attempt with SANDATA to advance to the finals of the PWR Tag Team Championship #1 Contender Tournament against Trian Dela Torre and Evan Carleaux. 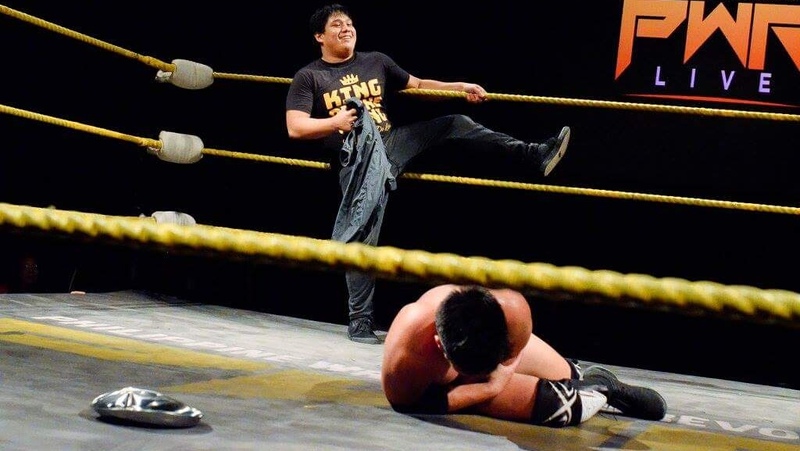 PWR's "Sagisag ng Sigasig" was attempting to regain his senses after falling to the new "Buy Our Shirts Special" finisher of TDTxECX, when he was blindsided by Jake De Leon, who bludgeoned his arm with a baking pan-assisted pipe strike. No official medical diagnosis was announced, but it could be anything from a deep bone bruise all the way up to a hairline fracture. 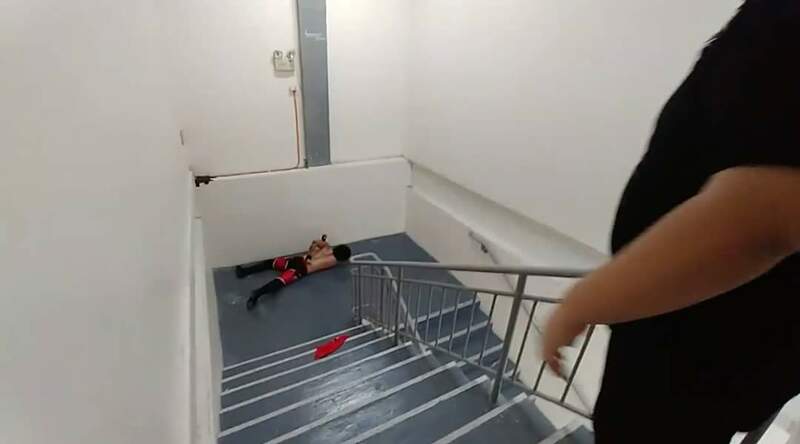 Chris Panzer on the other hand was laid out in a backstage brawl against newly-crowned PWR Champion Ralph Imabayashi and his partner Rederick Mahaba, who sent him tumbling down a stairwell at the Power Mac Center Spotlight. 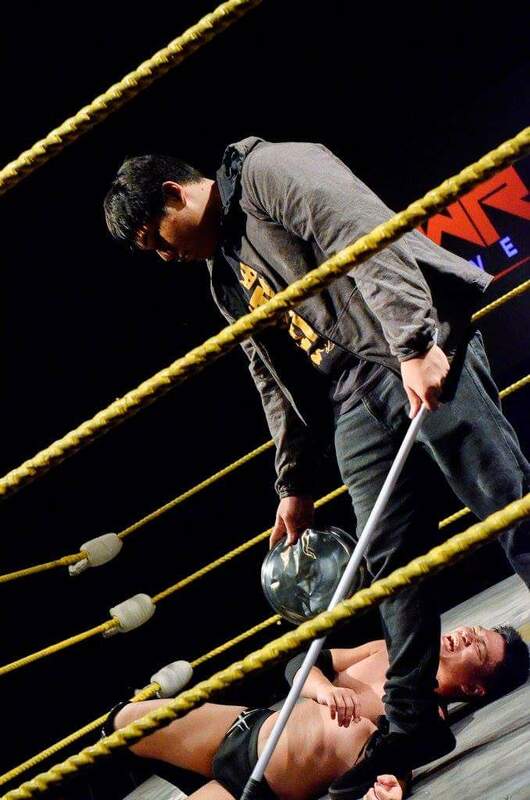 Hopefully, no long-term cervical trauma was endured by the fallen two-time Kampeon ng Pilipinas, but after the workload he's endured over the past twelve months, we wouldn't be surprised if this fall was the literal straw that broke the camel's back. With Path of Gold scheduled for March, both stars could be out of the running for a guaranteed title shot at Wrevolution X—a huge blow for anyone counting on them to help fight back against the John Sebastian reign of terror. We'll be sure to update all of you on any further updates, but all of us here at the Smark Henry Offices wish both Panzer and Xaviera all the best as they recover from their injuries. Photos by "Herbivorous" Hub Pacheco. We feature everything that comes out, seriously. No other site out there has as much content on ALL the promotions as we do. 1. Even before AOWW got off the ground, we had already written about them four times very enthusiastically, including previews on the talent to expect, and interviews with the main guys behind them. We were the first site to give a detailed breakdown of key talking points from their launch press conference as well. Seriously, we want them to succeed. 2. We've written about EVERYTHING MWF does. We've had coffee with Mikers. As of last count, we've published over 30 pieces about them despite their very quiet social media page that doesn't announce stuff very often. We've done features on guys we very publicly love like Gigz Stryker, raved so much about other guys we enjoy like Robin Sane and Aldrin Richards, cover ALL their shows, included two of their guys in our list of the best moves in the Philippines today, and did an in-depth analytics piece on their power rankings that took 18 hours of work. Seriously, nobody else has written as much about them as we have. If you feel that we feature too much PWR, perhaps you should consider how much news and content they publish on a weekly basis and their near-monthly show schedule vs. what MWF and AOWW have been announcing. And regarding your comment that a majority of our writers come from PWR—I would like to correct that. We have nearly 20 contributors and editors, of which only four come from the company, which we've started disclosing after listening to our readers. And all of them have consciously agreed not to create, edit, review, or give editorial direction on any content related to local wrestling after we made a grave error in judgment a couple of years back. If you prefer to maintain anonymity, happy to discuss this privately. In the meantime, trust that we as a whole love the whole wrestling scene and want it to succeed as the best in Asia.